Thames River Clean – Divers spruce up the River Thames! On May 24th over 50 volunteers from Aquanaut Scuba and Snorkelling Centre, Kingston University Sub Aqua Club in association with Kingston University Students Union Volunteering undertook a huge Thames River Clean project at Kingston Upon Thames, Thameside. Whilst divers hunted down the debris underwater, surface based volunteers pulled the various items out, loaded onto the barge and also waded to clear debris from the shallow area by Turks pier. The day was an amazing success, with a great spirit of camaraderie. It was fanta stic to see everyone working together to make such a difference to the environment. 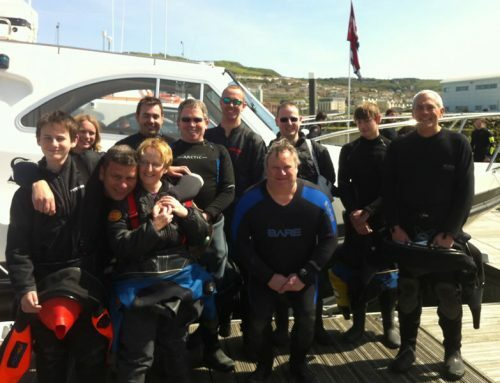 The event was the brainchild of Aquanaut employee and former Kingston University Student Chris Elliott who wanted to find a way for scuba divers could contribute to and give back to their community. The project was supported by Thames 21, the RNLI who came along and lent a hand, and various other Kingston University sport participants. The project also supported PADI’s Project Aware current campaign ‘Dive against Debris’.